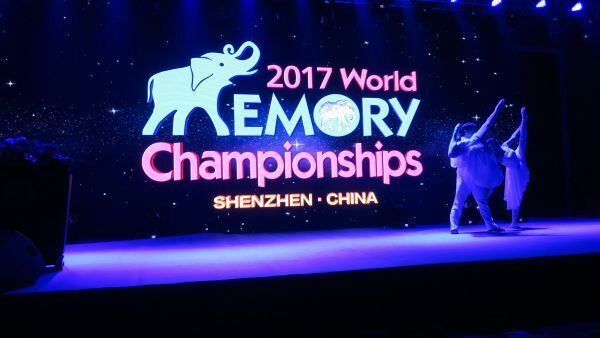 Thank you to all of our competitors, arbiters, organisers and special VIP Guests for helping to make this the best World Memory Championships EVER!! 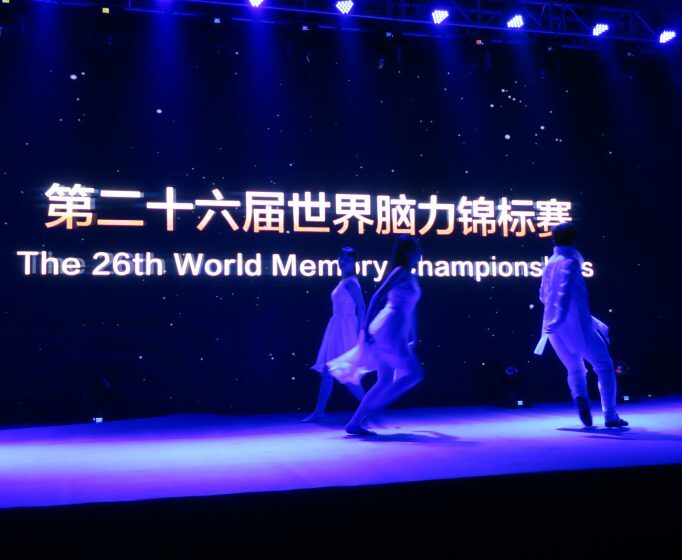 The twenty sixth world memory championship which finished last night in the city of Shenzhen, PRC, will go down in the history of Mind Sports as the best ever….so far. 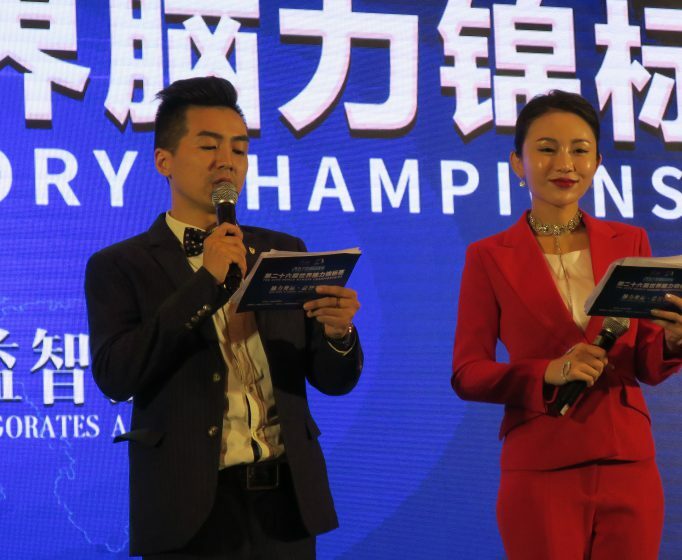 The championship was marked by a number of truly memorable elements…a magnificent $100,000 US dollar prize fund, a shattering of the speed cards record , bringing down the time taken to correctly recall a shuffled deck of cards to a level which nobody had remotely predicted. Finally, most historic of all, the first victory by a female contestant in the twenty six years of the championship. 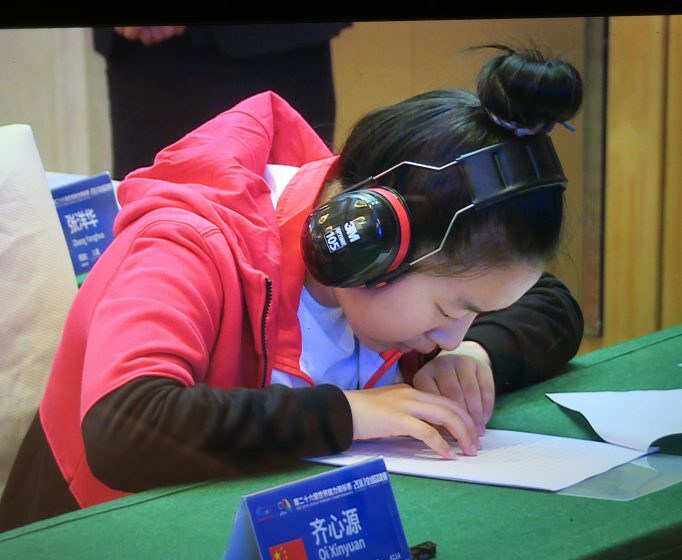 To think that an 18 year old girl might topple the male Titans of memory , would have been virtually inconceivable before the competition began. Now it has happened, proving in the process that Memory Sport truly knows no boundaries of gender, age or physical strength. And then there was the return of that male Titan of memory, Dominic O Brien. Having won the main championship title a record eight times, Dominic now returned to capture his first senior ‎victory. 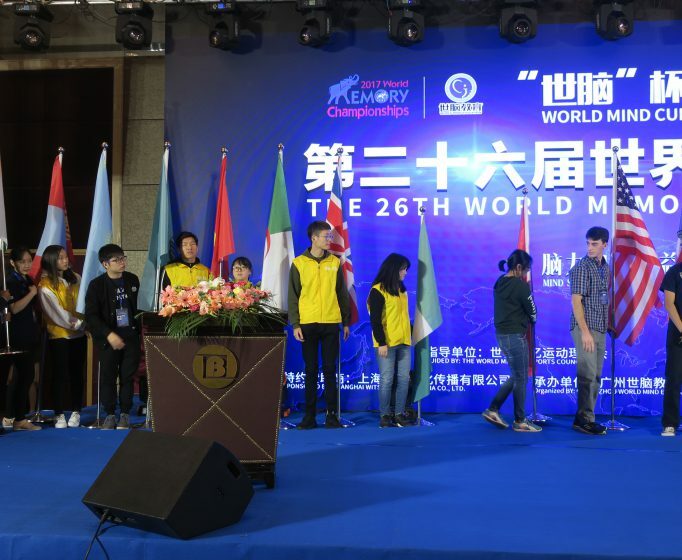 On the team front China dominated, followed as expected by Mongolia, with their supercharged team of teenage girls. Bronze resulted in a stand off between Algeria and Malaysia, a triumph for the former, whose team will be welcomed by state recognition on their return home. TOP COUNTRY TEAM – China. Algerian team shares team bronze with ‎Malaysia after recount!! TEAM INDIA in fourth place. Congratulations! An overwhelming fact struck me during the championship, ‎that the young people who take up early memory training are forming a race of superhumans…more intelligent, more poised, more self confident and more dynamic. Memory training truly revives the classical ideal of mens sana in corpore sano. 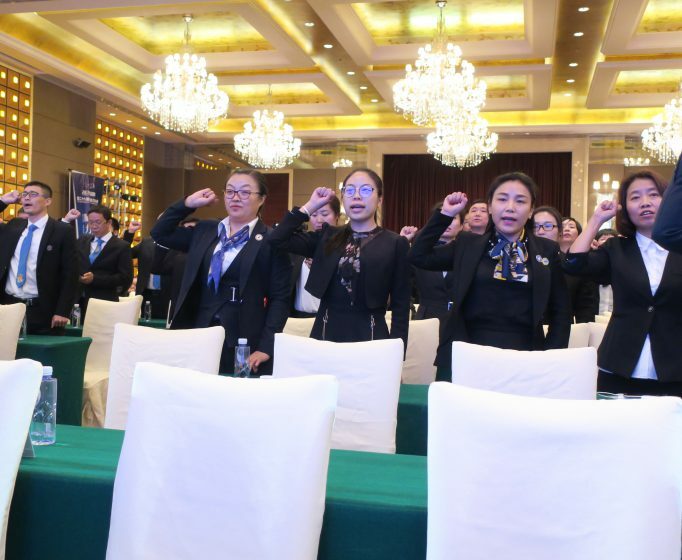 As for global outreach, representatives‎ gathered in Shenzhen from Mexico, USA, Poland, Liechtenstein, France, Belgium, England, Scotland, Algeria, Australia, China, Mongolia, India, Malaysia, Singapore, Vietnam, Taiwan, Hong Kong, Kazakhstan, Russia, a veritable magnet for a mini UN! The tide of history is on the side of the brilliant young WMSC champions‎. I now challenge the old guard who were too scared to face the new wave to enter next years 27th World Championship and test their skills against the dynamic younger generation. If they lack the courage, the tsunami of the future will overwhelm their fading laurels…with the exception, of course, of the Immortal Dominic O Brien! 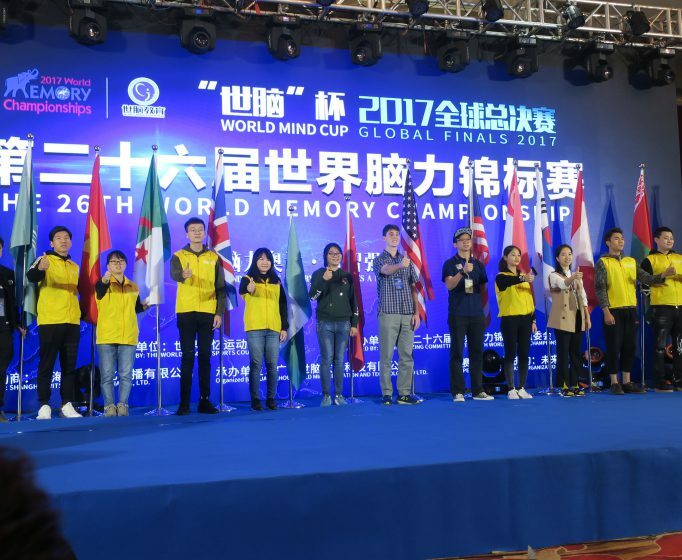 The 26th World Memory Championships has proved, once again, that we continue to underestimate what the brain is capable of. 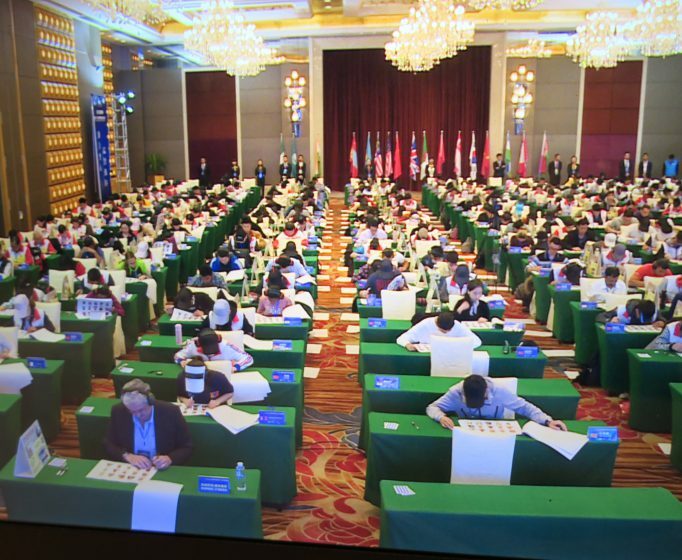 The top story is the new World Record for memorising one randomly shuffled pack of cards has been slashed to just 13.956 seconds by Zhou Lujian of Team China knocking 1.654 seconds from previous World Champion Alex Mullen of the USA. This now becomes the new Guinness World Record. 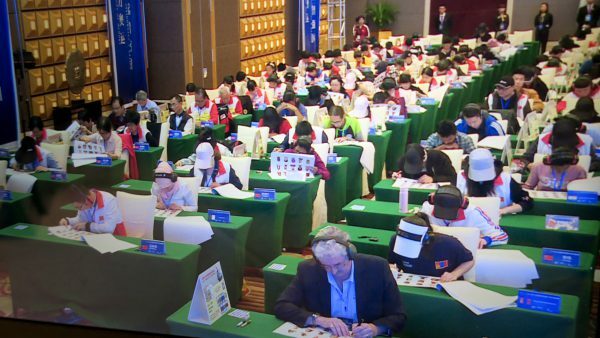 The World Records that have been broken during in the ten separate memory tests over three days, it is worth remembering that none of the competitors were born with any special memory gifts or have any special qualities. They are all ordinary mental athletes who are using very simple techniques to enable their brains to memorise seemingly impossible amounts of information, and to recall them accurately against the clock. With enough practice, anyone can do the same. 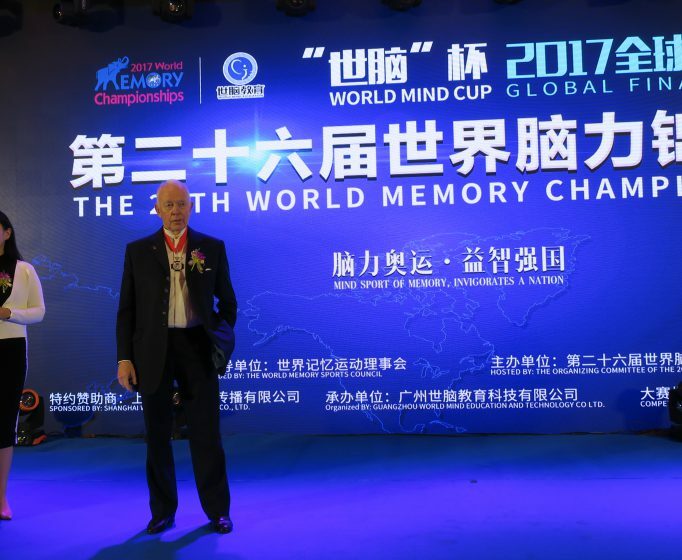 Unlike some physical sports, which can take years to reach world level, in the Mind Sport of Memory we have seen new competitors go from a standing start to becoming a World Champion is under two years! So what is it all about? It is not a quiz and has nothing to do will cramming your brain full of random facts. Instead it is all about the ability to be presented with new information – such as list of numbers, dates, names and faces, words or playing cards, and seeing how many you can commit to memory in a specific length of time. Then, in a fixed period of time, accurate recalling that same information. It has to be 100% accurate as there are no prizes for forgetting. 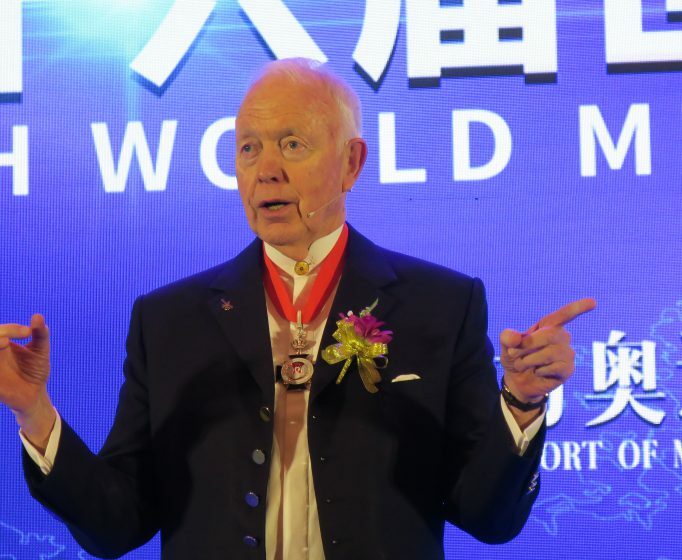 The sport, as indeed it is, was founded by Tony Buzan, author and inventor of Mind Mapping, and Raymond Keene OBE, the Chess Grand Master and is now practiced in 62 countries. The highest achieving competitors in the qualifying rounds are eligible to compete in the World Championships. 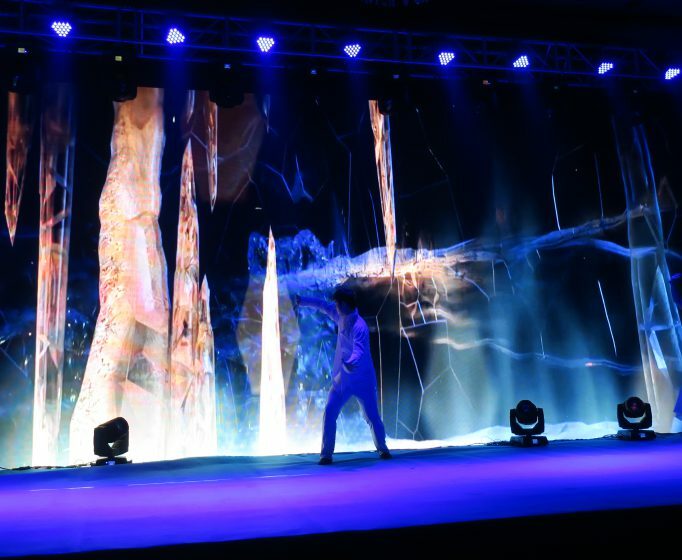 This year the event took place in China and has in the past been in London, Oxford, Manchester, Bahrain, Kuala Lumpur, Singapore, Hainan, Guangzhou, Croydon, Chengdu and now Shenzhen. 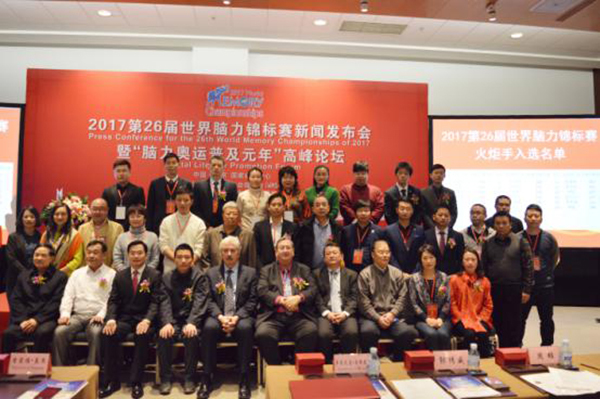 Bids are open to host the 27th World Championships in 2018. 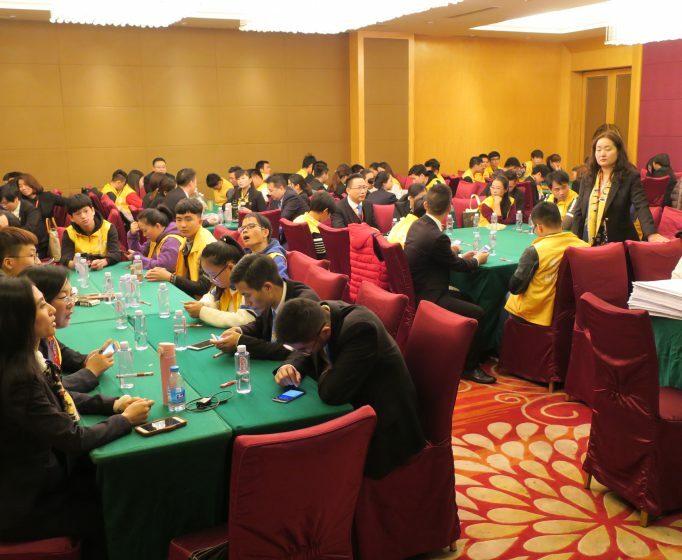 A great incentive this years was a prize fund of US$100,000 which was distributed around the winners. The Sport has also attracted Royal patronage. Prince Philipp von und zu Liechtenstein, who graced the front page of the South China Morning Post as soon as he arrive in Shenzhen. 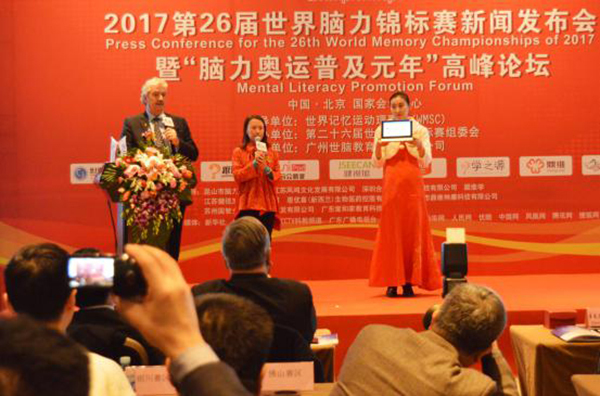 granted the first Grandmaster of Memory titles by royal decree at Hanbury Manor UK over two decades ago, thus helping to fuel and launch the now burgeoning world memory movement. 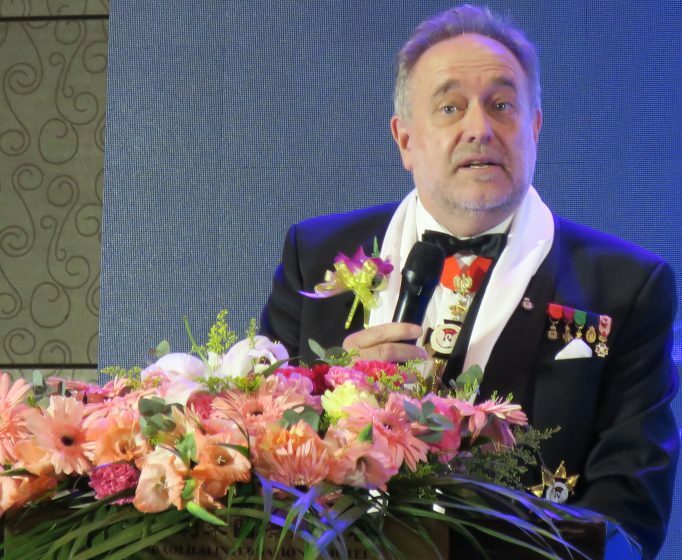 Prince Marek and Princess Petrina Kaspersky of the Polish Royal house, are presidents of the World memory sports Council in Australia and also edit the magazine of The Brain Trust Charity, Synapsia. 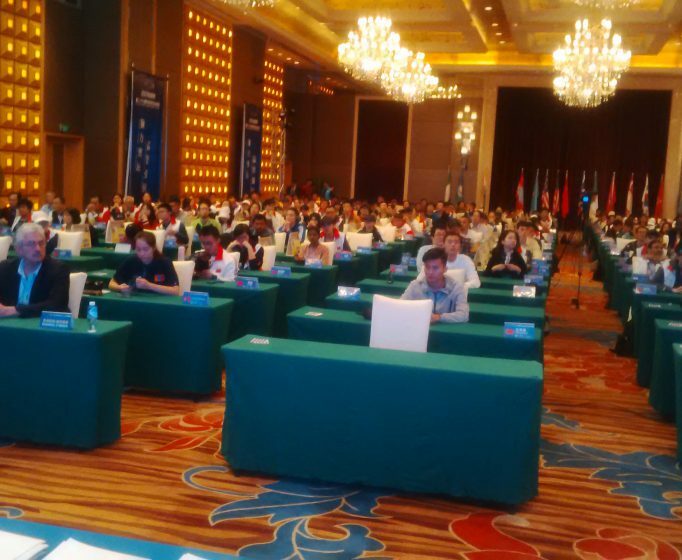 This year the competitions was organised by David Zhang, the President for the WMSC Asia Pacific region and was sponsored by Shanghai Wits Publishing Ltd and Guangzhou World Mind Education and Technology Ltd.
(5) A 2-inch color photo (the background color is not limited) which will be used to make entry card. 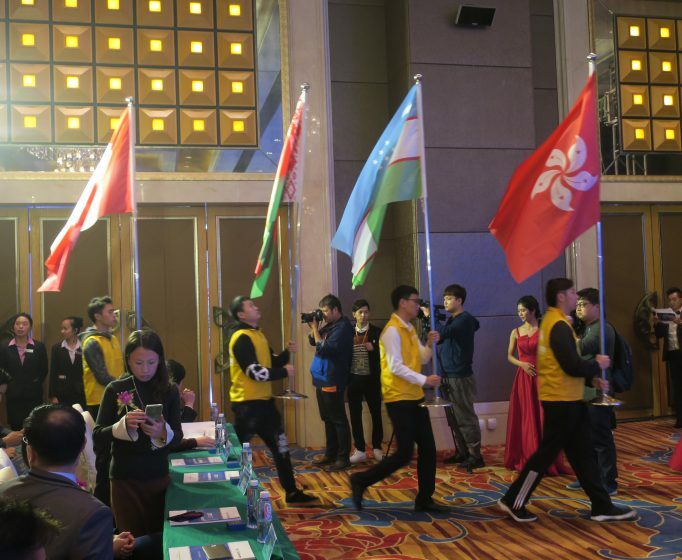 The registration procedure: sign in—check players’ information (check the original and collect the photocopies)—make entry cards—collect cards—issue clothes and guides. 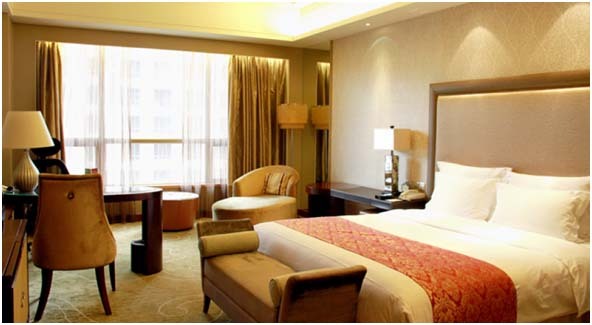 Those who have reserved a room at the sports hotel are supposed to check in at the Reception Desk. (10) Players who are against the rules shall be disqualified and the participation results shall be cancelled; Players who cheat in the game shall be criticized in a circulated notice in their work units and be banned to participate in this competition forever. 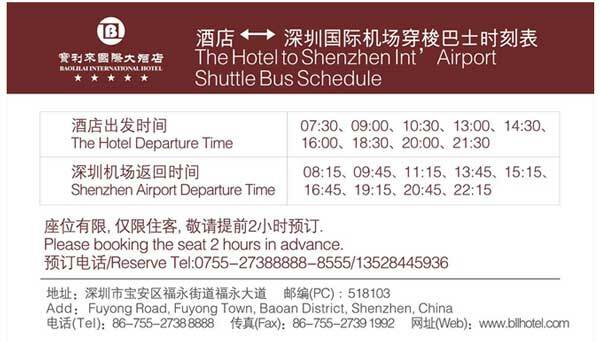 PS: If you are required to submit an official invitation which provided by the foreign affairs office of Chinese government (it usually contains a bar code), we are so sorry to say it goes beyond our ability to deal with, we suggest you can ask for help from your local travel agency or visa agent company. About 15 km from the distance, 20 minutes by taxi. 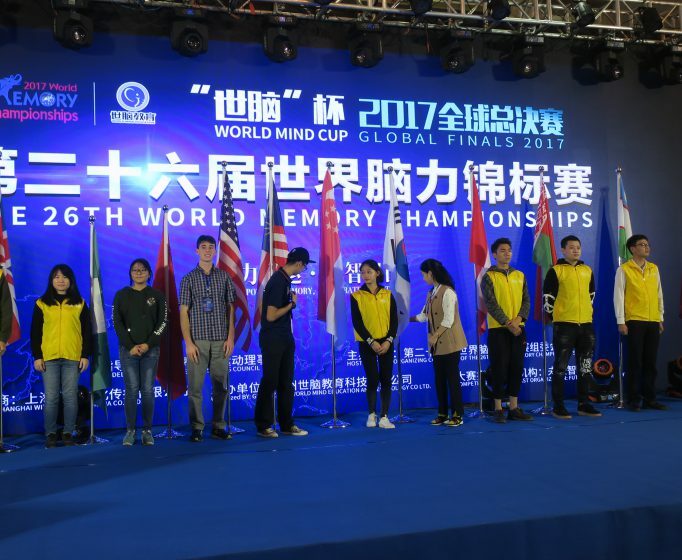 World Memory Championships – Opening Ceremony 5th December. Competition December. 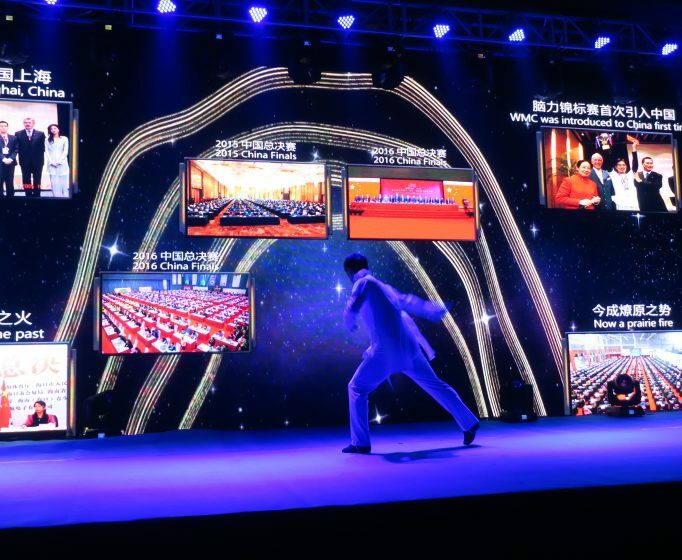 Closing Ceremony and Awards 8th December. 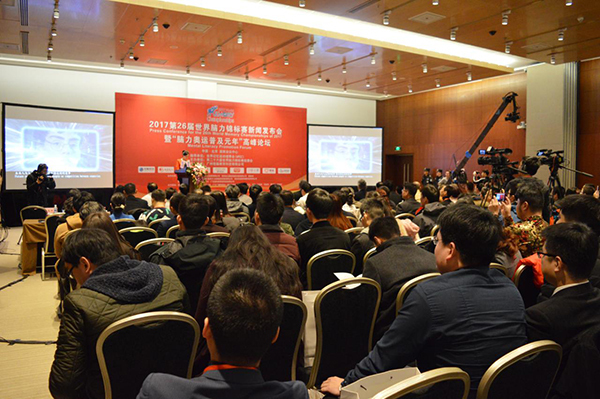 On the 10th of January the press conference took place in the Beijing National Convention Centre to launch the countdown to the 2017 World Memory Championship with over 200 people in attendance . 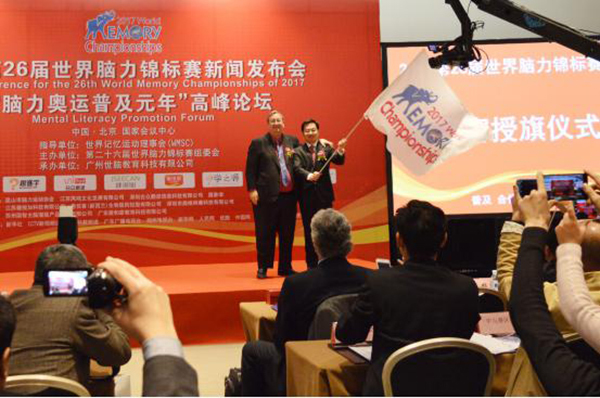 Present at the event was the global president Raymond Keene OBE and the eight times World Memory Champion Dominic O’Brien, David Zhang the president of the Asia Pacific Region of the World Memory Sports Council, the media, sponsors, and members of the organising team. 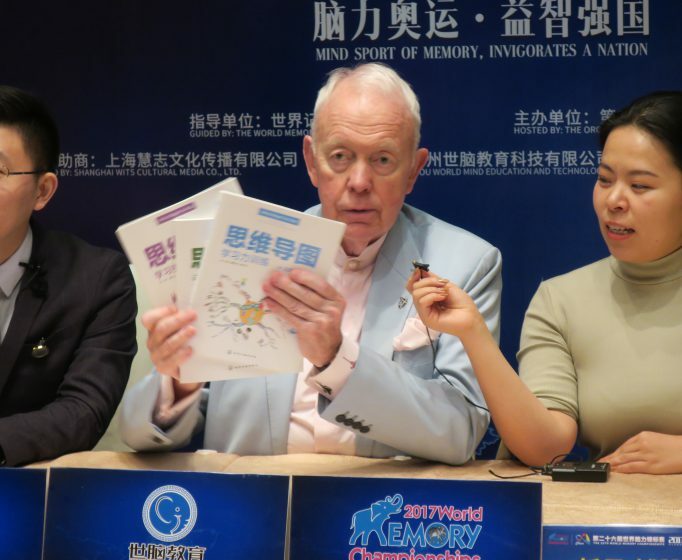 This will be the 26th World Memory Championship since the sport was founded by Tony Buzan and Raymond Keene in 1991. 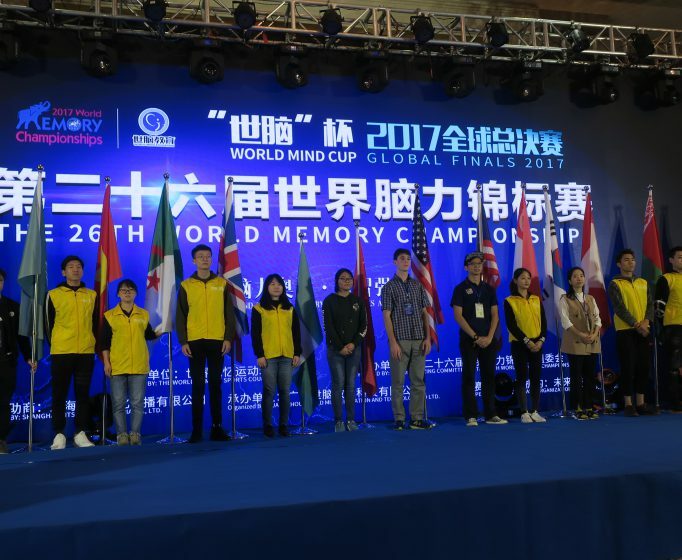 In addition to the World Memory Championships which will be taking place in December, the first China Schools Memory Championships are also taking place this year.